Nancy J. (Ray) Heffernan of Woburn, unexpectedly, February 4th, at fifty nine years of age. Beloved wife of the late Richard “Rick” Heffernan. Devoted daughter of the late George and Martha (Hamilton) Ray. Cherished sister of John “Jody” D. Ray, his wife Allison, Catherine J. Donahue, her husband Charles all of Woburn and Barbara Charles, her husband Dennis of NH. “Aunt Nan” to her many loving nieces and nephews. A Funeral will be held from the Lynch-Cantillon Funeral Home, 263 Main Street, Woburn on Friday, February 8th at 10 a.m. followed by a Funeral Mass in St. Barbara’s Church, 138 Cambridge Road, Woburn at 11. Interment in Woodbrook Cemetery. Relatives and friends are respectfully invited to Calling Hours at the Funeral Home, Thursday evening 4-8 p.m. Remembrances may be made in Nancy’s memory to: MSPCA at Nevins Farm, 400 Broadway, Methuen, MA 01844. Nancy J. (Ray) Heffernan of Woburn, died unexpectedly, February 4th, at her home at the age of fifty-nine years of age. She was the beloved wife of the late Richard “Rick” Heffernan. Born in Waltham, Nancy was a daughter of the late George and Martha (Hamilton) Ray Jr. Raised and educated in Woburn, Nancy was a graduate of Woburn High School, Class of 1977. Upon graduation she furthered her education, receiving her Bachelors Degree from Bentley University, in Waltham. During her college years, Nancy was introduced to her future husband Rich through a friend of hers, who was his brother! They married in 1981 and settled in Southern New Hampshire, until returning back to the Woburn area in 1995. For 10 years she worked as Treasurer for the Town of Reading and for the last five years as Town Treasurer of Watertown. One of Nancy’s favorite places in the world to spend time, was at her cottage in Freedom, New Hampshire. As a child, young adult, and all throughout her life, she and her entire family enjoyed all the time spent there. Nancy also enjoyed traveling and even had the opportunity to visit Hawaii. When her husband was living, Nancy and Rick enjoyed going to golf matches. Nancy was a rather quiet, unassuming and caring woman. She shared a great love of her nieces and nephews, brother and sisters. Spending time with them was truly a great joy in her life. 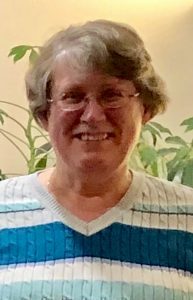 Nancy is survived and will be deeply missed by her siblings; John “Jody” D. Ray, his wife Allison, Catherine J. Donahue, her husband Charles all of Woburn and Barbara Charles, her husband Dennis of NH. “Aunt Nan” to her many loving nieces and nephews. Nancy is also survived by her two very special cats, whom she cherished. A Funeral will be held from the Lynch-Cantillon Funeral Home, 263 Main Street, Woburn on Friday, February 8th at 10 a.m. followed by a Funeral Mass in St. Barbara’s Church, 138 Cambridge Road, Woburn at 11. Interment in Woodbrook Cemetery. Relatives and friends are respectfully invited to Calling Hours at the Funeral Home, Thursday evening 4-8 p.m. Remembrances may be made in Nancy’s memory to: MSPCA at Nevins Farm, 400 Broadway, Methuen, MA 01844. My neighbors, so very sorry to hear of Nancy’s passing, thoughts and prayers. So very sorry to hear of your Sister’s passing. She was way to young. May she rest in peace always. Knowing you are in a better place helps; the fun and laughs from those college days will live on. Rest in Peace my friend….